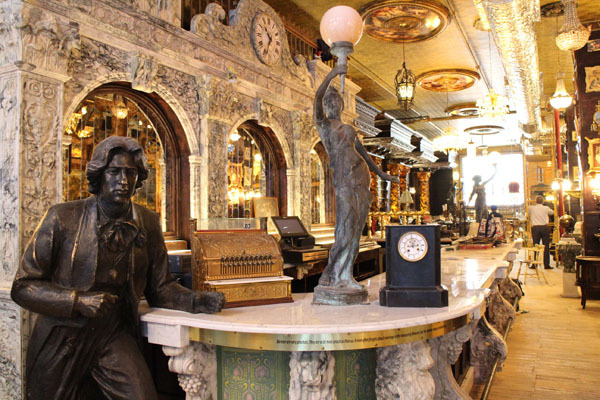 Oscar Wilde opens to the public on Wednesday, August 16, 2017 in the NoMad district as the longest bar in New York City at 118.5 feet. 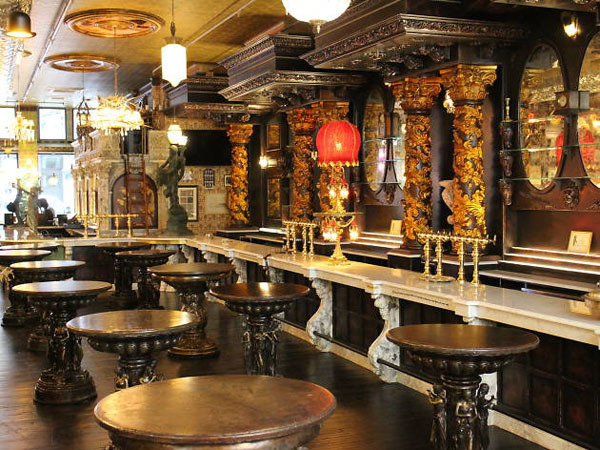 Located at 45 West 27th Street which is the former headquarters of NYC’s Bureau of Prohibition and the mob who reportedly listened in on the federal agents, the 5,874 square-foot Victorian themed bar also features an additional standing whisky bar and a private events room. 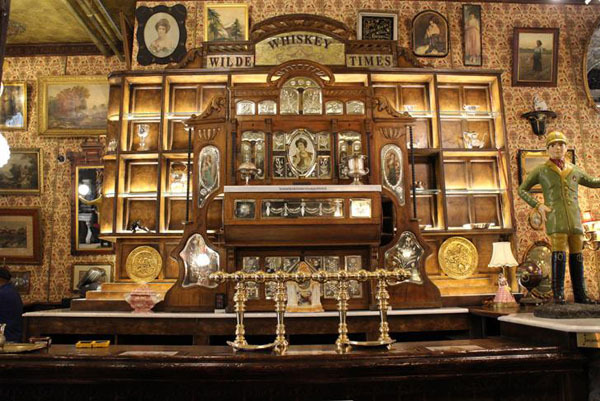 Driven by the spirit of the legendary Irish playwright, Oscar Wilde’s motto is “a public place for private affairs” and pays homage to the revered writer. With a wine menu curated by beverage director Denise Prykanowski, the bar offers over 300 whiskeys and 32 beers on tap, many of which are sourced from New York State. Johnny Swet is the head mixologist of Oscar Wilde who crafted the cocktail list that reflects both the Victorian and Prohibition eras, including gin slings, bee’s knees, absinthe drip, and much more. 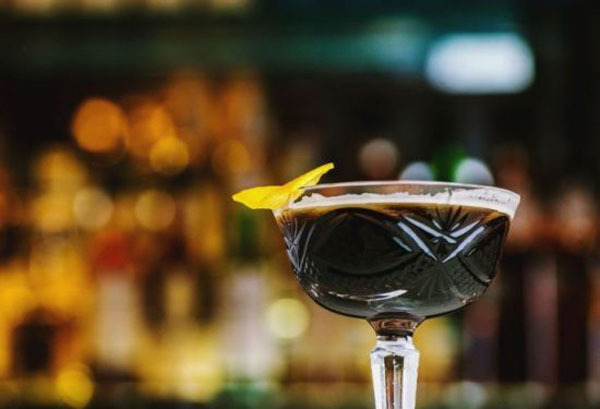 Signature cocktails include “50 Shades of Dorian Gray” with Plymouth gin, cherry liqueur, Chinese 5 spice, and citrus, as well as “Oscar Wilde’s Potent Elixir,” which features cognac, gin, Guinness, cassis, lavender, Champagne and orange zest. All cocktails are available for $14 each. Open seven days a week, Oscar Wilde is open from 11 AM to 2 AM and will serve lunch and dinner menus. Oscar Wilde created a contemporary and approachable menu with farm-to-table ingredients. Menu items include Crispy Cauliflower Buffalo ‘Wings’ buttered in rice flour and tossed with a Sriracha butter sauce, as well as the signature Wilde Burger, made with imported Irish Beef and topped with crisp house made pickled and chili aioli. Those in search of lighter fare can opt for dishes such as the Cured Salmon with fried capers, crème fraiche, jalapeno, and salted cabbage slaw. Oscar Wilde’s design features and artifacts were hand-selected from all over the globe, including a Belgium piano from the 1890’s, a standing clock from England from the 1880’s, painted glass from Milan dating back to the late 19th century, marble carved in Vietnam, one-arm bar chairs from Mexico, antique fireplaces and more. In addition, Oscar Wilde features private event space that can accommodate up to 70 standing/40 seated in the private room, as well as 320 standing in the entire 5,874 square-foot space.